Miniature Herefords, bred by Andrew and Marie Bayliss of Starburst Herefords and Shorthorns, were displayed in a pen at the Turriff show, in Aberdeenshire, Scotland, in August, 2012. Mini Ginger and Mini Goldrush, as well as their offspring, Starburst Joker, who was born in Scotland in June, was introduced to the public at the Scottish National Hereford Show. The local paper picked up the news and produced a picture of mother and son in a center fold of show highlights. Joker made a real hit with the kids. 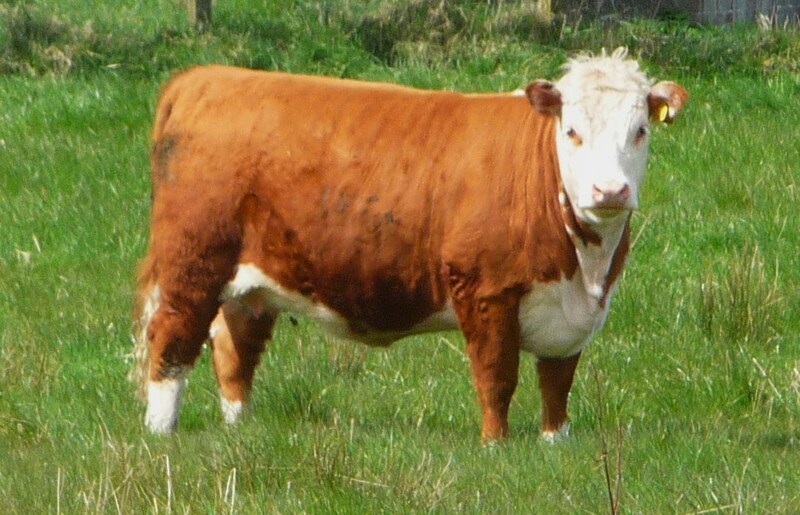 It is believed this is the first time Miniature Herefords have been on display, in the UK. 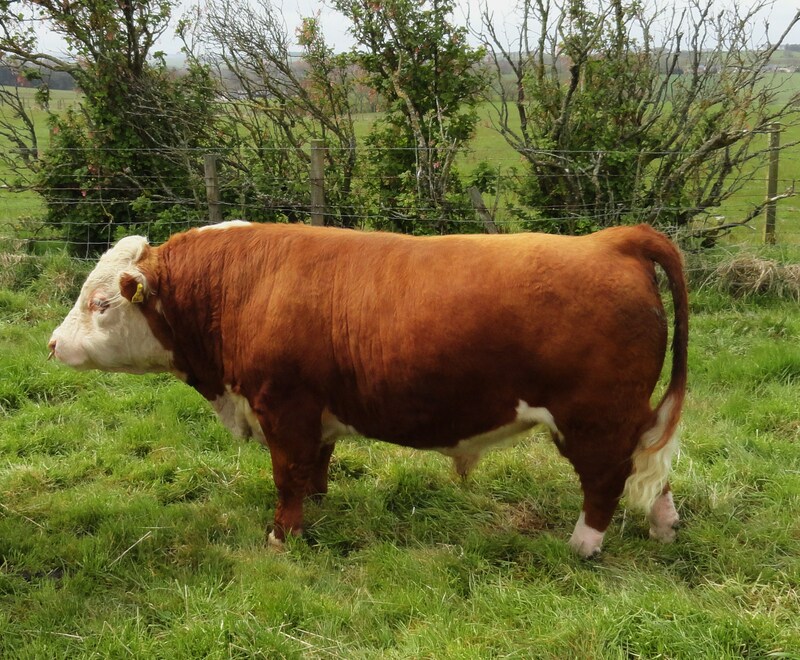 They are all registered with the Hereford Cattle Society and have proven to be very popular as people realize the multitude of benefits of the smaller Hereford genetics and their ability to perform as efficient back yard beef producers on smaller holdings, while still having all the traits that made Herefords popular in the past. 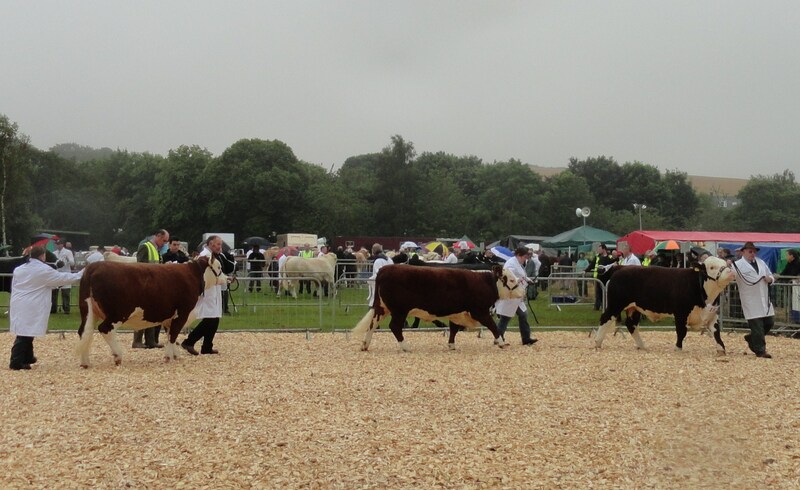 August 6, 2012 saw the Scottish National Hereford Show being held in Turriff for the first time. Starburst Herefords (shown above) with their 2nd place entry in ” Three by the same sire ” made their show debut here with two heifers and a bull. From right to left. Carol Michie moving Starburst 1 Helena, lead by Andrew Bayliss, Starburst 1 Holly, lead by Janet Green and Starburst 1 Honours, lead by John Green managed to secure a number of ribbons in spite of the fact that all their animals were naturally feed on the award winning organic grass produced at Newton of Millfield farm. The fact that the animals had no grain in their diet, yet had matured well, was dully noted by many breeders.